That 'thing' with me and lip products is getting a little out of control. I'm a sucker for them all - lipstick, lipgloss, lip crayons, lip balms .... you name it, I'll buy it - I couldn't even tell you how many I own! I have a new one to talk about today and it's a bargain drugstore lip balm. Lip balms are great for keeping lips hydrated and soft! There is nothing worse than chapped, flaky, dry lips - literally my pet peeve in life and the ever-changing weather seems to be a cause of that for me! 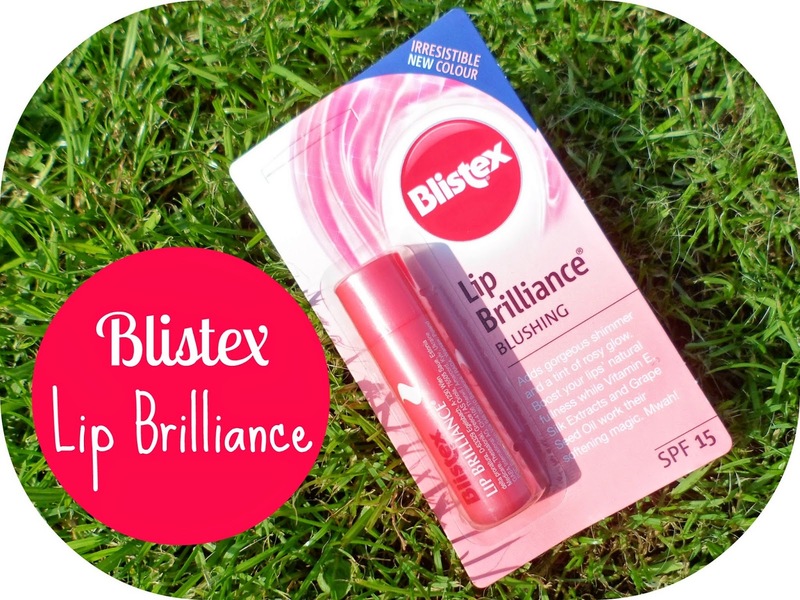 This Blistex Lip Brilliance* is in the shade Blushing and has a lovely pink shimmer tint to it (extra thumbs up for that!) which makes it even more likeable for me! Some lipbalms are so boring - this comes out a lovely soft sheer rose colour. This is the key for having soft lips for me at the moment, with Vitamin E (a personal fav ingredient of mine) this stuff makes my lips silky-soft and smooth 24/7. Not only that but because of the Hyaluronic filing spheres the Lip Brilliance boosts your lips so they look naturally full and therefore... fabulous - duh. Plus it has a slight strawberry scent to it which is lovely. For only £2.61 in Boots this is a bloomin' barry bargain! I have had this in my bag constantly, it is perfect if you want something really subtle - maybe for work, school or even if you just want to keep your lips in good condition at home... this is great. A product which keeps your lips looking full and feeling soft with a great shimmer for less than £3 - a perfect addition to any make-up loving girls summer collection. These look lovely! I love a balm with a tint of colour! Fab post hun - enjoy the sunshine!! This looks so lovely. I have farrr to many lip balms, but I really need this now lol. Thanks Kirstie!! !